A cool front came through south Florida and it was downright chilly this morning. I even waited to walk Jessie until it “warmed up” here. Thankfully this bit of brisk weather is fleeting and I should be back to warm tomorrow. But while it was chilly, I decided to bake. It is a coworker’s birthday tomorrow so a great excuse for a cake. Originally I was going to do a basic chocolate cake with buttercream icing, but I decided I didn’t want chocolate, I am terrible at making buttercream and I wanted something just a bit lighter and more fall like. 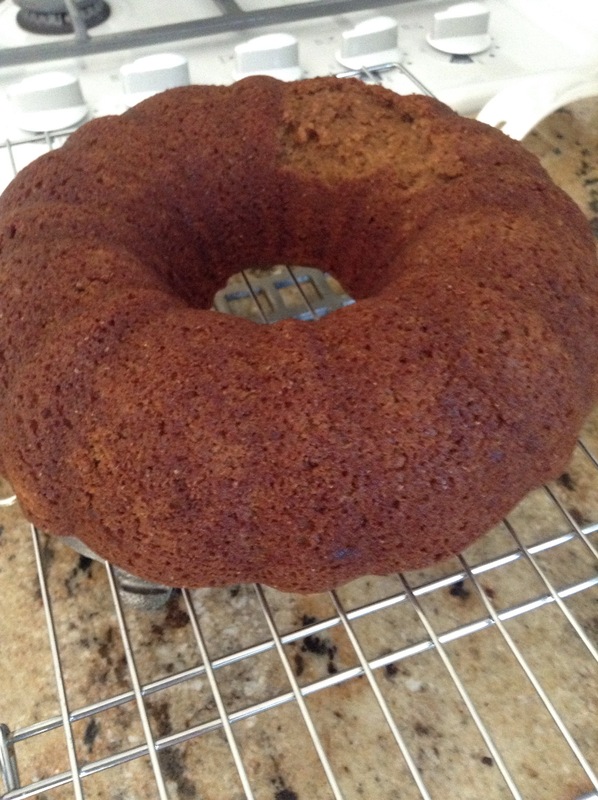 I found a recipe for an applesauce cake. This intrigued me. 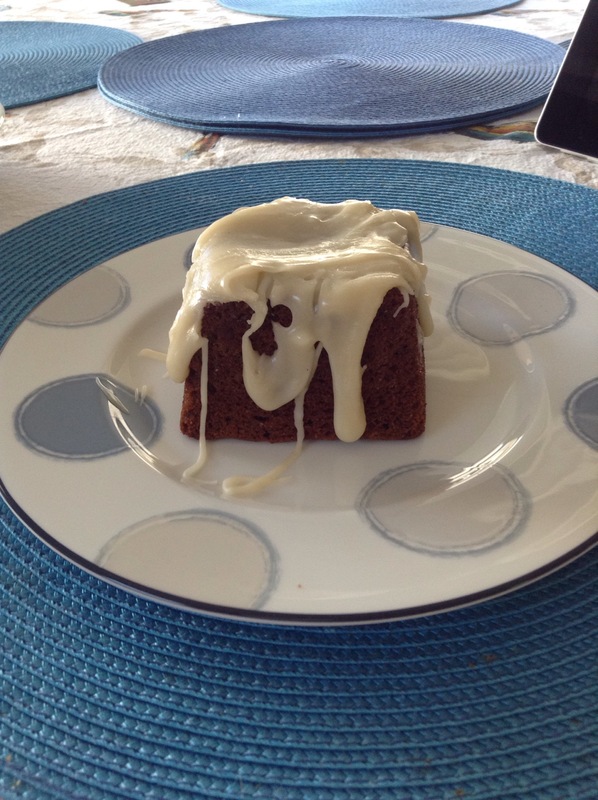 I love the taste of apples, I’ve used applesauce in cakes before (to good effect) and I can pretend it is a healthier version of cake than regular chocolate cake. 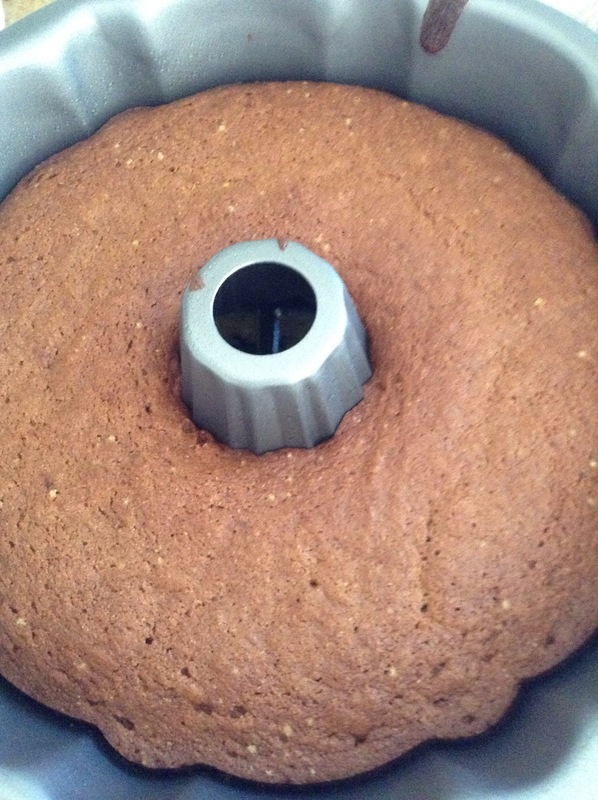 It also gives me a reason to test run the cake before deciding if I want to use it in a Thanksgiving dinner menu. All very good reasons to bake the cake. And, yes, the birthday tomorrow. So how did it go? Well, it turns out I didn’t have as much brown sugar as I thought. Confectioners sugar? Sure. Regular granulated sugars? Plenty. Brown sugar? About a quarter cup. Also, apparently my back up bag of flour is whole wheat flour, not all purpose flour. But I figured I would still go for it. I omitted the black pepper in this recipe. I just wasn’t feeling that adventurous. I also substituted Sugar in the Raw for brown sugar and used plain white sugar with a touch of vanilla in the glaze. But other than whole wheat flour, no pepper and the sugar changes, I actually followed a recipe. I even made Bob his in mini cake so he wouldn’t feel left out. I really like how this turned out. 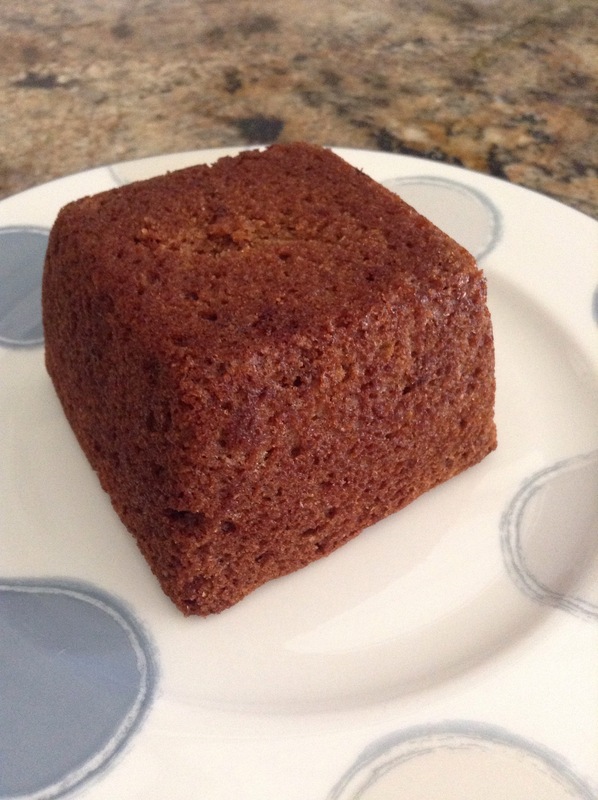 It remind me a little bit of a spice cake, a little bit of an apple cake and it tastes like you want a fall dessert to taste. The icing was easier than most and really adds to the cake. It’s moist, flavorful and just a little sweet. Bob liked his mini cake and we shall see how it goes over with the coworkers tomorrow. This looks wonderful! I hope your co-workers enjoyed it! so delicious. I wish I could grab a slice!